This blog features news and commentary about what’s happening in the Melrose Village neighborhood of Los Angeles – the community that runs along Melrose Avenue in between Fairfax Avenue and Highland Avenue. Our neighborhood is approximately one square mile in size, with about 13,000 residents. Additionally, there are hundreds of businesses in Melrose Village, mostly small independent businesses. The businesses employ thousands of people, and bring in many thousands of patrons each day. Melrose Village is bordered by Highland Avenue on the east, the City of West Hollywood to the north, Fairfax Avenue on the west, and the Rosewood Avenue on the south. In addition, the areas within a few blocks of Melrose Village include businesses and other resources. Our neighborhood is one of the most popular and diverse communities in the region, with great restaurants, prominent theaters, and famous shopping areas. 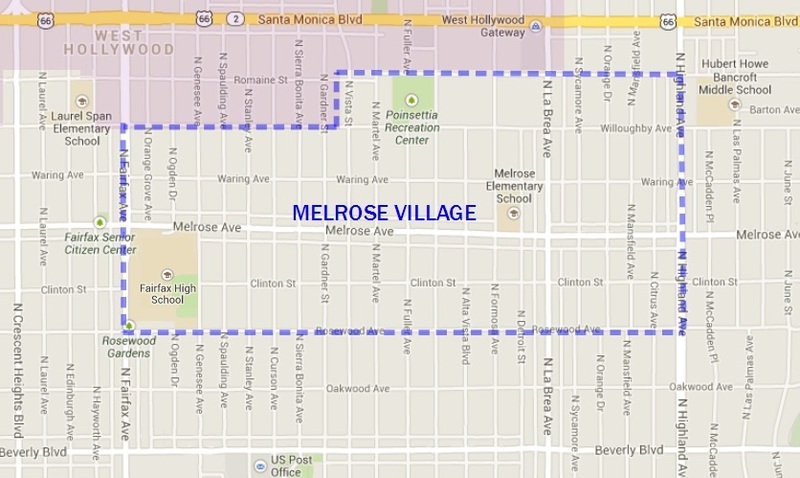 The Melrose Village blog is written and operated by long-term residents of the neighborhood. We welcome your feedback. To reach us, send email to melrosevillageblog@yahoo.com. To get the latest neighborhood news right away, subscribe to the Melrose Village blog, and you will receive an e-mail when the blog is updated with new information. Simply click the “Sign me up!” button on the right side of this page.